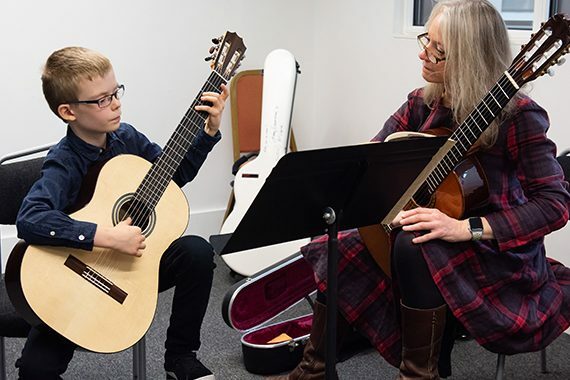 Finding the right music teacher for your child can be a difficult decision, whether you’re hoping to get started on your first ever instrument or to take your playing to the next level. However, there are many networks and support services to help you feel confident in your decision, and a few things to bear in mind as you establish what can be a lasting and valuable relationship. What are you looking for in your music teacher? Start by thinking about your priorities in choosing a music teacher. Make sure your child is part of the process; think about their learning styles, and how they engage with school or other lessons. If they’re academic, and already eager to make progress, they might be ready to start working quickly towards graded exams. If they have little prior experience of music, they’re unsure which instrument is for them, or they’re fitting music alongside numerous other activities, you may need a teacher who can help them to enjoy and appreciate music as a whole, leaving grades until a little further down the line. 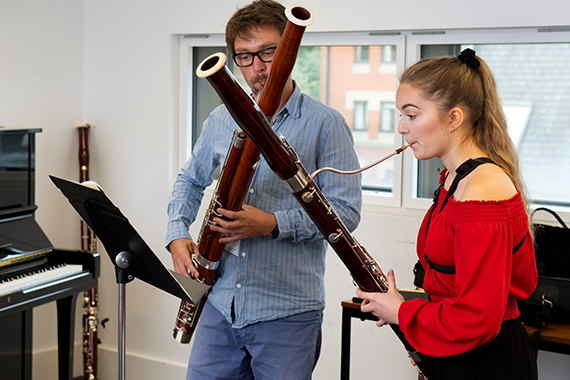 Graded music exams can provide great motivation for learners at any age, but for younger children, in particular, it’s important that your teacher provides a strong theoretical base whilst leaving space for fun, discovery and enjoyment. If you’re not sure what’s best for your child, listen! Spend time exploring music with your child, and finding out what they respond to. There’s no limit to how early you can start to listen, enjoy, and help your child discover their individual interests. Look at the programmes at local music venues, community centres and theatres, many of which run music and activity sessions for babies or toddlers, as well as family concerts or teenage inspiration days for older children. Stop and listen to street performers, family members or friends; talk to your child about the music they hear in film or on television, what it adds to the story and which parts they like best. If they particularly enjoy jazz, pop, classical or other genres, make sure you look for a music teacher who can incorporate that into their lessons. Many music shops run ‘try an instrument’ days for children and adults to see which instrument inspires them. Most schools and Music Education Hubs will also have a small stock of instruments to lend or hire, allowing you to try out options before you commit. When you make contact, ask teachers about their qualifications and experience, both as performers and teachers. They should be happy to show you a current, valid DBS check, particularly if you plan to leave your child alone with them during lessons. Most teachers will let you book one or two trial lessons before committing to a regular slot. You should expect to pay for these, but there’s no harm in meeting more than one teacher at the beginning; your child is embarking on what can become a creative and personal relationship, and you need to find the right ‘fit’ for all involved – for you, for the teacher, and most importantly for your child. You should expect the teacher to spend time ensuring your child is playing in a healthy position, developing good physical habits for future practice; talking to them about their interests; and giving them chance to explore their new instrument. Once lessons begin, agree with your teacher whether you should remain in the room or not. For many children it’s easier to learn and focus without a parent watching, but you’ll play an important part in their learning even if you’re not there every minute. You should be welcome to ask questions to understand your child’s progress, practice points and learning techniques, or to visit lessons from time to time. Some teachers or organisations might provide parents’ evenings or ask you to pre-arrange meetings and visits, whilst others may invite you into lessons spontaneously; it all depends whether you’re working with a private teacher or organisation, whether you’re in the same building regularly, and how your child’s lesson fits with other timetabling or commitments. Of course, no two organisations or teachers are the same. You should respect their policies and the needs of other children and families learning in each centre. Most important of all is that you understand how you can support your child’s practice. Generally, teachers will suggest that young learners practice regularly, but not for too long at a time – focus on quality, not quantity. It often helps to find a regular slot in the day, and a quiet, focussed space in the house. Most important, though, is that you can offer support and encouragement, and a genuine understanding of what your child is trying to achieve between each lesson. Practice should focus on ‘sticky spots’ and other challenges rather than simple repetition – as well as giving your child a space to enjoy their instrument! Once lessons are underway, you will encounter the occasional rocky moment. Your child is being asked to absorb a lot of new ideas, to become an independent learner and to think both logically and creatively. There are likely to be parts of that process which they find difficult, or which they don’t enjoy as much as others. It’s important that you don’t run from your teacher at the first clash – it’s almost certain that he or she has met similar challenges before and has techniques to guide your child through them. Trust in their expertise, but don’t hesitate to ask why they’re using a certain approach or technique; together you can better support your child and help them to understand and overcome challenges. If things get particularly tricky for a while, it might be best to arrange this conversation outside lesson time, when your child is out of the room. On the other hand, children’s interests can change, their learning styles shift, or their musical ability may outgrow their first teacher. Don’t be afraid to consider moving on when the time is right, but be confident you’re not making that choice on a whim or based on a one-off event; a music teacher who understands and appreciates your child, and knows their strengths and struggles, is invaluable. If your child needs a new challenge, look for opportunities for them to enjoy their music outside lessons – children’s and youth ensembles, choirs, music clubs and festivals are all great opportunities to meet young musicians. If your child shows particular musical potential or talent, look out for holiday schools, regional or even national ensembles, and more advanced opportunities including one of the country’s excellent Advanced Training Centres or Specialist Music Schools.